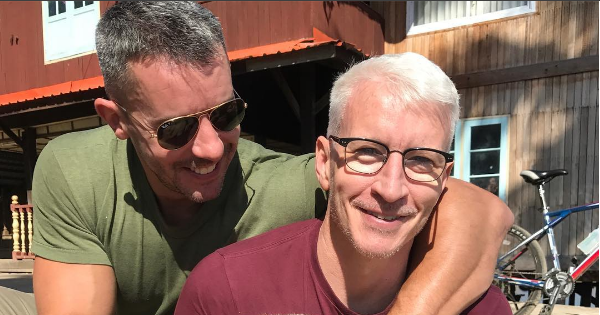 What made Anderson Cooper hiss at longtime partner Benjamin Maisani? Anderson Cooper told an audience while co-hosting ABC’s “Live! with Kelly Ripa” on Monday about a particularly frustrating incident with longtime partner Benjamin Maisani. Cooper is teaching Maisani how to drive, and admits that he isn’t the most patient of instructors. “He’s got a learner’s permit like a 16 year old. It’s the most embarrassing thing,” Cooper said of Maisani, who turns 44 this week. “I thought I’d be happy about this, that he’s finally learning. (But) I am the worst driving teacher on the planet. I get annoyed at everything he does, every mistake he makes. I’m like, ‘Ugh, God, how stupid! Why did I let you get a learner’s permit? I hate you!’ I’m the worst. I make him so nervous,” he told his friend Ripa. “He said that you actually hissed at him,” she responded. Watch the exchange in the video below, starting at around the nine and a half minute mark. Correction: This article was updated to fix a misspelling of Kelly Ripa’s name. We regret the error. Sounds like my father and me decades ago. After the second lesson my father, known for his frugality, decided to send me to driver’s school – no expense spared. Nobody should be taught to drive by a family member, loved one or friend because it is a frustrating experience for both parties but, more importantly, because experienced drivers pass on their own bad driving habits to the learner. No matter how a good a driver you think you are you will have developed habits that while they might not get you fined they would prevent you from passing a test these days. Same thing happened to me after my father taught me to drive. As soon as I had a few lessons with a qualified instructor he picked me up on a few things my father had instilled upon me.